Our 6 piece bottle hangers make the perfect pairing with that favorite bottle of wine. The sweeter the wine the sweeter the chocolate. 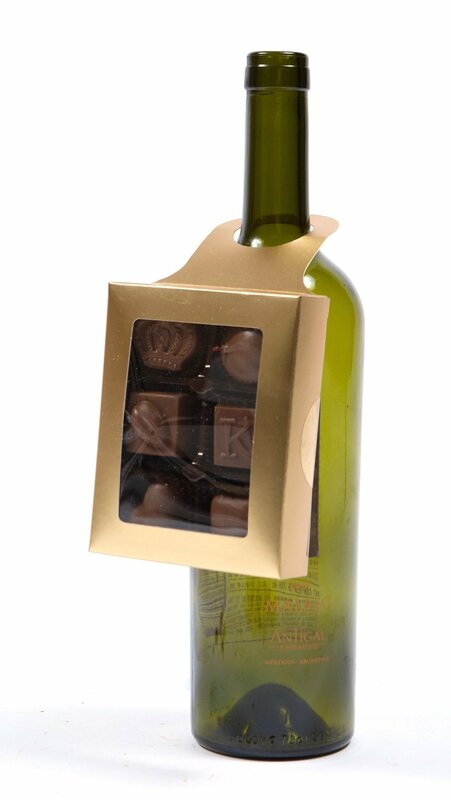 36% Milk Chocolate matches wonderfully with a white wine, and is a great holiday gift or wonderful way to say thank you.